Andres Iniesta can see it already. 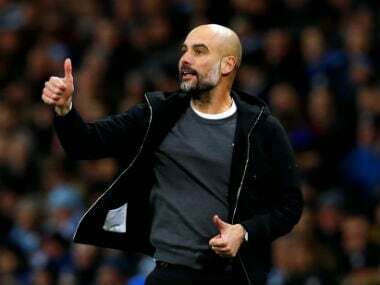 The Manchester City team coming to the Camp Nou for Wednesday's Champions League match against Barcelona has quickly been infused with Pep Guardiola's playing style. Iniesta identifies his former coach's fingerprints at City, with the English club one of the toughest teams to beat in Europe. 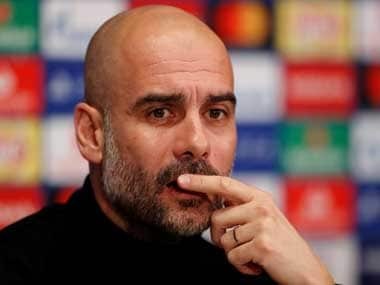 "Guardiola's teams are a reflection of what he wants and, despite the short period in which he has been in command, City already carries his identity, his ball-possession style," said Iniesta, who played under Guardiola for four years. "Manchester City is a top candidate to win this tournament. 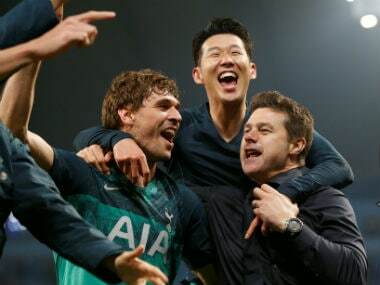 It's part of a very small group of clubs that can win it." 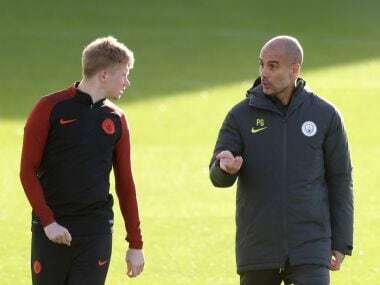 "City has improved its game a lot," said Barcelona defender Javier Mascherano, another player coached by Guardiola, who won 14 titles while in charge of the Catalan club from 2008-2012. "Never in my life am I going to change the way I play football," Guardiola said. "I can make a lot of mistakes but my teams play the way they want." Given how poorly Paris Saint-Germain's midfield played in the unimpressive 2-1 win against bottom-side Nancy in the French league on Saturday, coach Unai Emery will be desperate to have the experienced Thiago Motta back for the home game against Basel. However, Napoli has lost consecutive Serie A matches for the first time under second-year coach Maurizio Sarri and has to overcome a lengthy injury layoff for Arkadiusz Milik, the Poland forward who scored seven goals in his first eight matches with the southern club. Manolo Gabbiadini, Milik's replacement, did not impress in a 3-1 defeat to Roma at the weekend, which ended Napoli's 22-match unbeaten streak at home. Manchester City got off to a great start under Guardiola, winning 10 straight, but it's enduring a three-game winless streak that has added some pressure on the newly signed coach. "Of course the confidence and mood is much better when you win," Guardiola said after the team's 1-1 draw with Everton, when Kevin De Bruyne and Sergio Aguero had spot kicks saved. Luis Enrique's Barcelona is unbeaten in 17 home games in the European competition. After a three-match winless run, Carlo Ancelotti's methods are already being questioned. The new Bayern coach was praised at the start of the season for his relaxed approach, after Guardiola's more rigid, detail-driven style. Now, the feeling is that players may be losing their drive and determination under Ancelotti. Club boss Karl-Heinz Rummenigge felt obliged to slam the team's "unacceptable" performance in a 2-2 draw with 10-man Eintracht Frankfurt in the Bundesliga on Saturday. The media quickly suggested that some of Guardiola's discipline might be in order.